This modern and luxurious furnished penthouse apartment has 2 bedrooms, 1 x 2 + 2 x 1 and 2 bathrooms with shower + shower facility,. 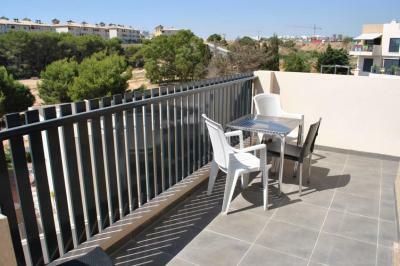 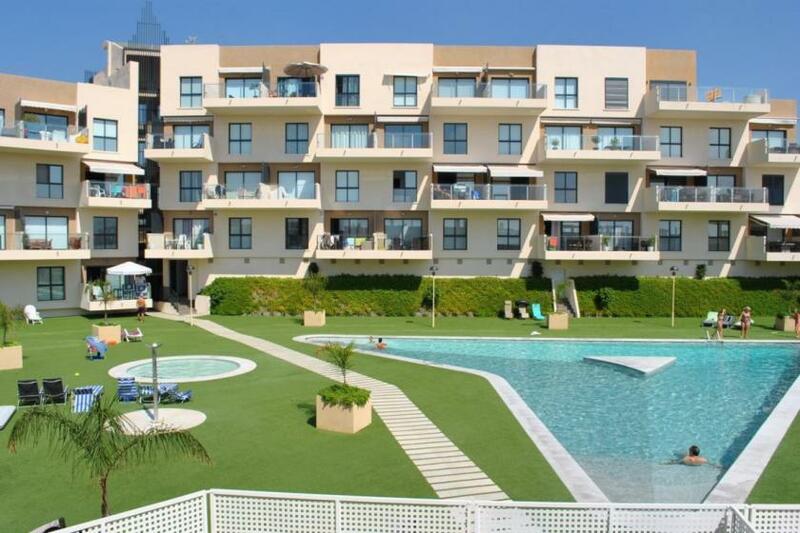 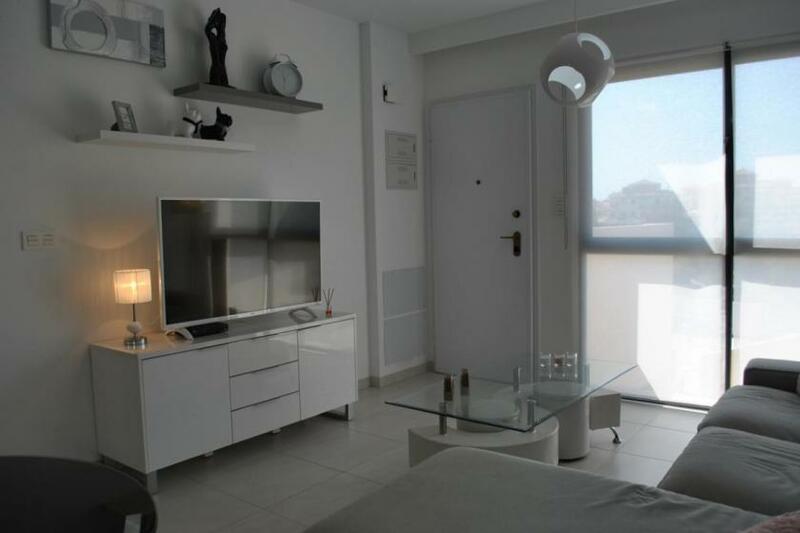 Situated in the Residencial Sabrina complex, located in the hart of La Zenia, All facilities that provides you in your daily needs are within walking distance, as supermarkets, shops and the La Zenia Boulevard shopping mall, only 250 M, which offers even more shopping retreats and restaurants. 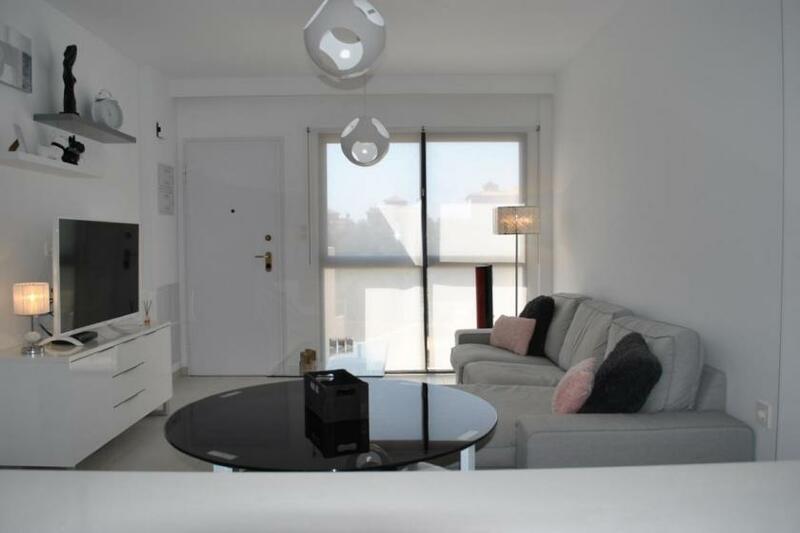 This penthouse apartment is spacious, light and airy and is designed and built with the highest quality materials. 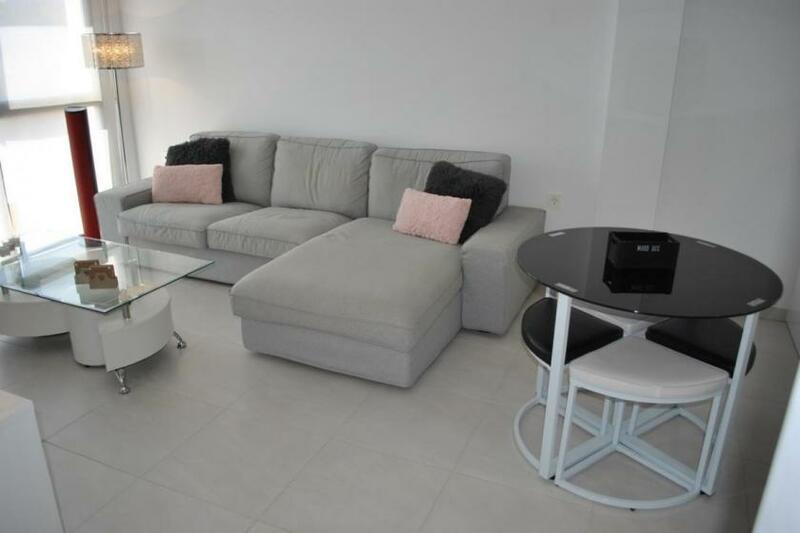 The living room is equipped with airconditioning, SAT TV with international channels and WIFI. 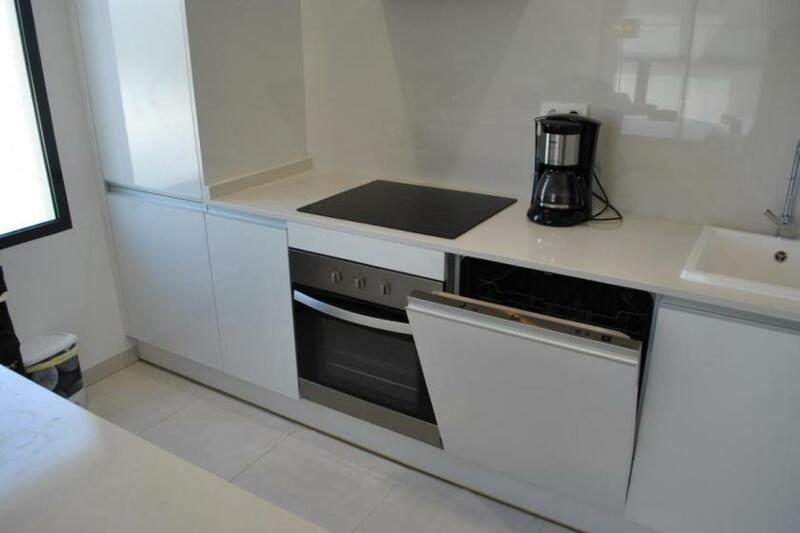 There is a modern designed kitchen, fully equiped with a microwave, oven and dishwasher as well. 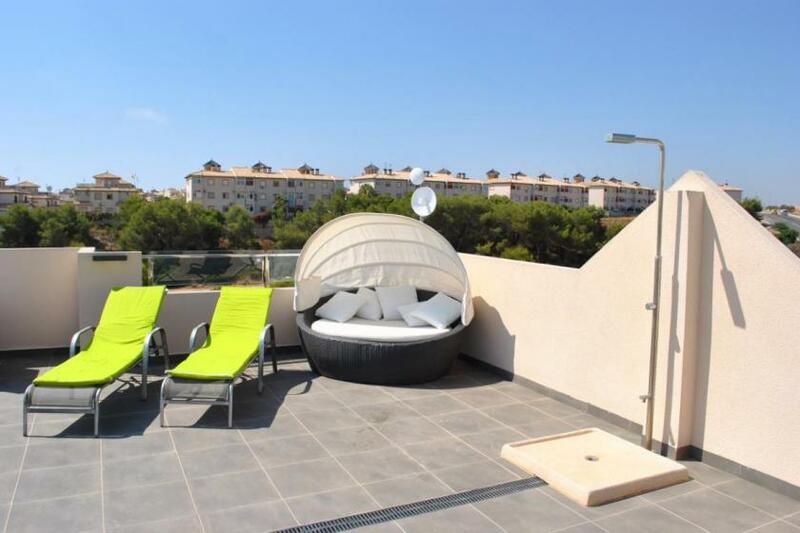 There is a balcony and spacious solarium facing South from where you will have a beautiful view to the ocean and the comunal area's. 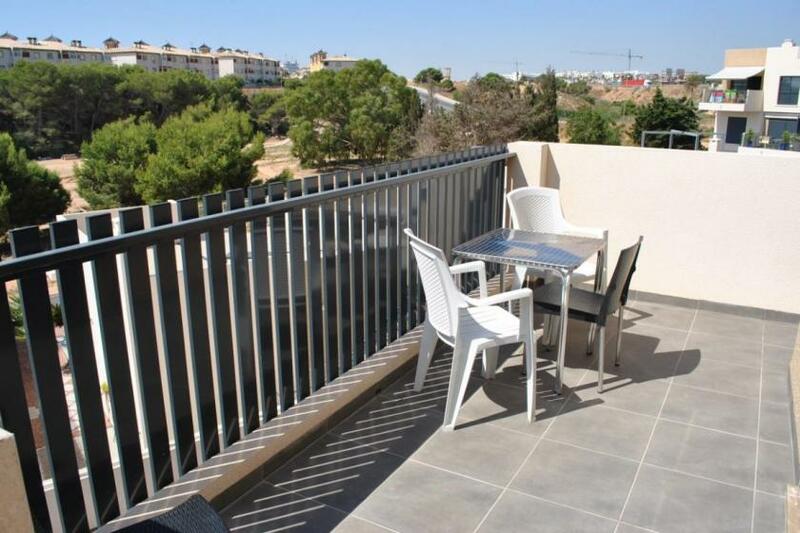 Residencial Sabrina is located close to the new shopping center Zenia Boulevard. 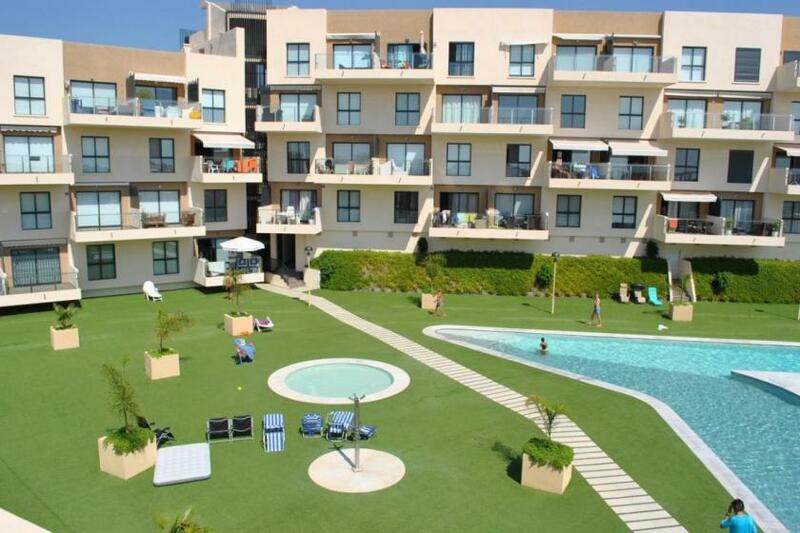 Very close to the beach and surrounded by green and leisure areas such as golf courses, shopping centers. 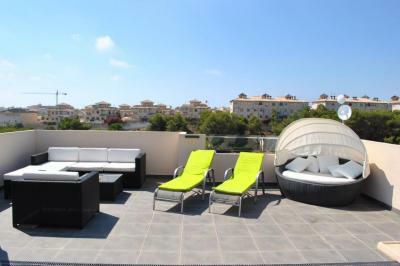 Easy access to Murcia and Alicante airports and to the motorway N332. 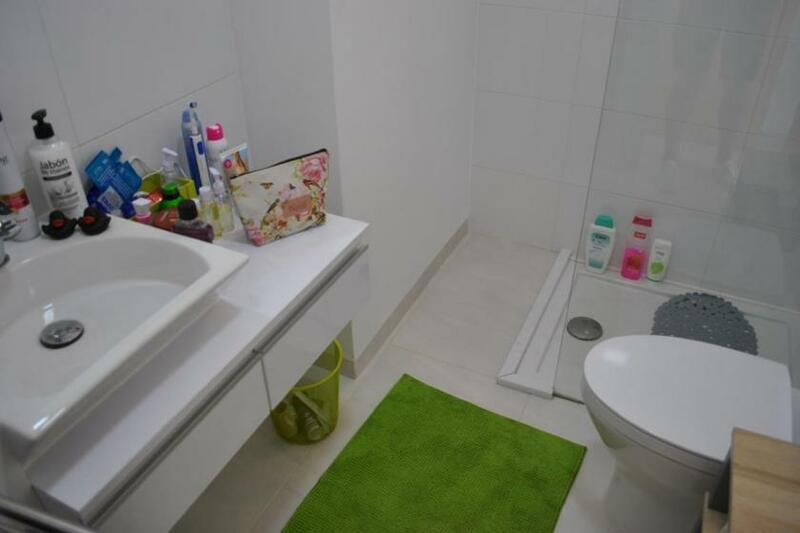 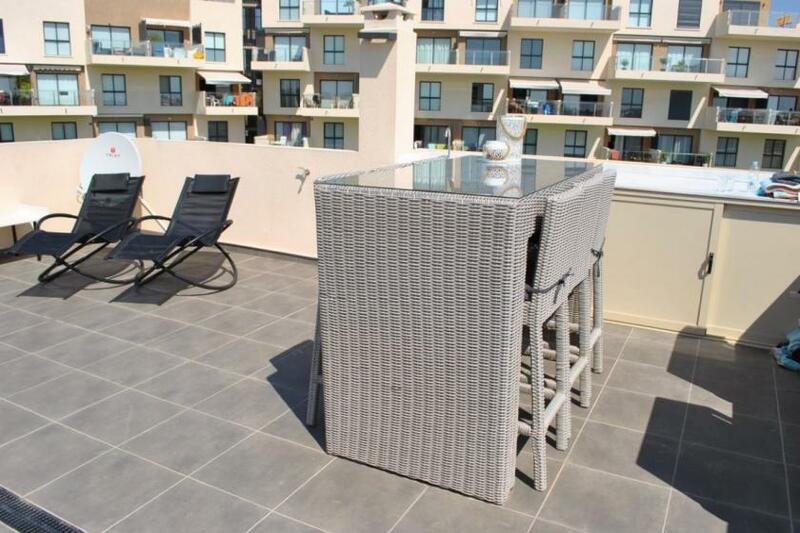 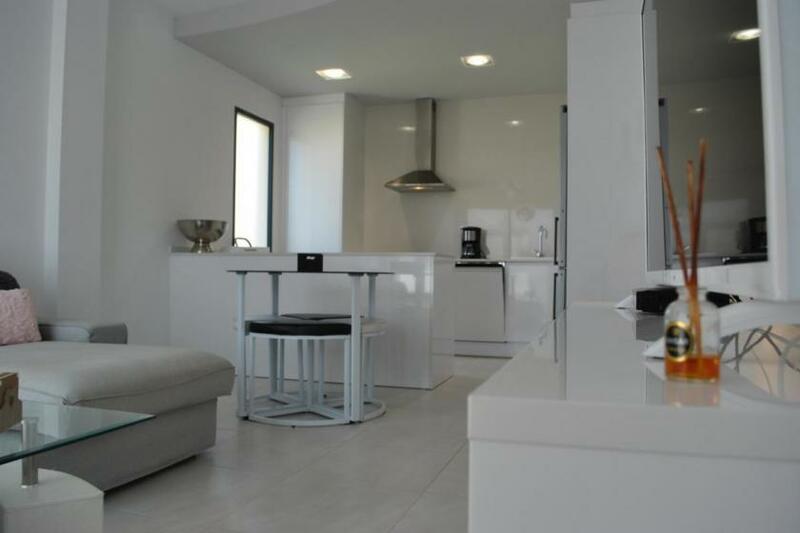 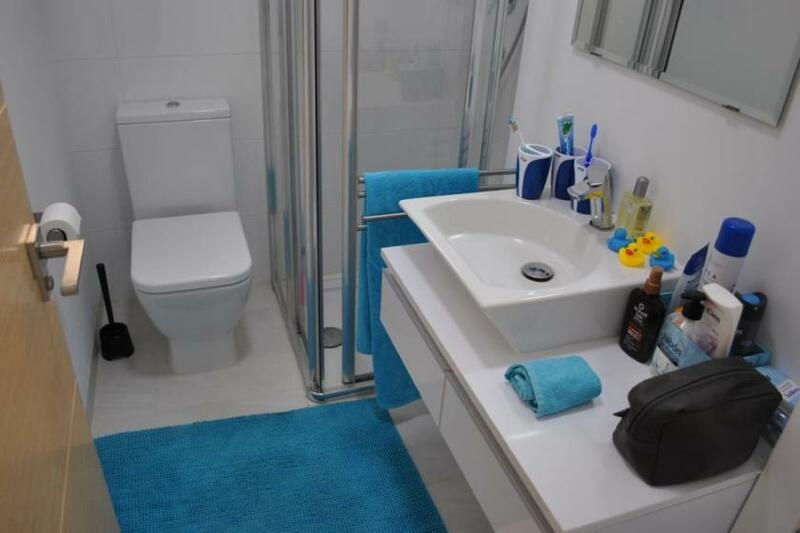 Located in a privileged area surrounded by beaches with Blue Flag distinction. Activities for the whole family, shopping and nightlife areas. 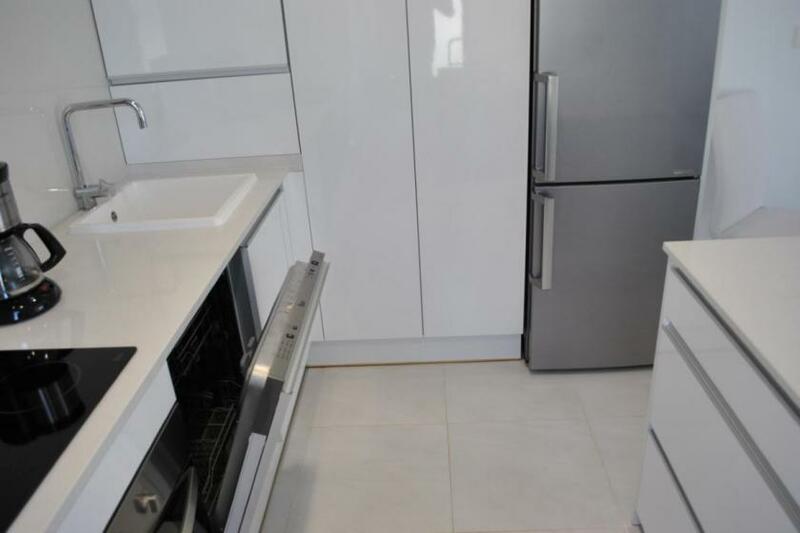 Secure off-road parking space is included.